Please read this document carefully before ordering any product. These terms and conditions of sale, together with our Delivery, Returns and Privacy Policies, (together referred to as the “Conditions”) apply to any order you place through our UK website: http://petremedy.co.uk (the “Website”). By placing an order through the Website you confirm that you have read, understand, and agree to the Conditions. You should print a copy of the Conditions or save them to your computer for reference. The Website is operated by Unex Designs Limited (“Unex”, “Pet Remedy”, “we”, “us” or “our”) a company incorporated in England and Wales with a registered office at 7 St Pauls Road, Newton Abbot, Devon, TQ12 2HP. To place an order through the Website you can create an account, which will require you to provide some compulsory personal information. Alternatively, you can choose to place an order via the guest checkout, but you will still need to provide us with certain compulsory personal information in order for us to process your order. The pages on the Website will guide you through the steps you need to take to place an order. Please take time to read and check your order. Once you have confirmed your order and provided your payment information, click on the “Agree & Pay” button at the end of the checkout process. Once you have clicked the “Agree & Pay” button you have made an offer for the sale of goods. We will notify you by email as soon as possible to acknowledge our receipt of your order. Your offer is subject to our acceptance. Our acceptance of your order will take place, and a contract will be formed between you and Unex, only when the products have been dispatched to you. The contract between us will include these Conditions and the information contained in the order confirmation email, including the goods ordered, payment arrangements, the total price of the products inclusive of taxes and will supersede any and all prior terms, conditions, warranties and representations. All contracts are concluded in the English language. Prior to dispatch of the products Unex has the right to decline an order for any reason, including, but not limited to, any error, inaccuracy, or omission relating to a product you have ordered. If we cannot supply you with the product or service you ordered then we will not process your order and will inform you of this by email. If you have already paid for the product or service we will refund you in full as soon as reasonably possible. You will be asked to enter your payment details during the checkout process. All payments must be made immediately over the Internet. By placing an order, you confirm that the credit or debit card you use is yours. All card payments are subject to authorisation by your card issuer and are subject to a fraud check by our designated fraud detection vendor. All products remain the property of Unex until we have delivered the products to the address specified by you. Prices given do not include delivery costs, which will be invoiced in addition and specified to you before the order is confirmed. Delivery charges and timescales vary depending on the type of products ordered, and service you select and the delivery address. Please see the Delivery page of the Website for precise details of costs and delivery times. We deliver to the UK, Europe and the Rest of the World. There is a Uk Next Day Delivery service available for an additional fee. All of the delivery options will be available for selection during the checkout process. Unless next day delivery is requested, all UK Orders are sent by Royal Mail 1st Class. European and International order are sent by Airmail. If you are a consumer, you have the right to cancel the contract for an order of goods without giving any reason. This cancellation period begins on the day you order the goods and expires 14 days after the date the goods are delivered to you (the “Cancellation Period”). This cancellation right does not apply to sealed goods that were unsealed after delivery and that are not suitable for return for reasons related to health or hygiene. If you cancel and return goods as required we will reimburse all payments received from you for the returned goods, including the costs of delivery (except for the supplementary costs arising if you chose a type of delivery other than the least expensive type of standard delivery offered by us) using the same means of payment you used. We may make a deduction from reimbursement for loss in value of any goods supplied if the loss results from handling beyond what is necessary to establish the nature, characteristics, and functioning of the goods. In addition to your cancellation rights, Unex are willing to accept the return of any unwanted goods that are returned to us within 28 days of the date of purchase if the goods are returned in fully saleable condition and with proof of purchase. A refund or an exchange will be offered up to the amount you paid for the goods, excluding delivery charges. Please follow the instructions below to return goods to us. We reserve the right to refuse any unwanted goods that are returned without a proof of purchase or after the 28-day return period has passed. This provision does not affect your statutory rights. Because you are a consumer, you have legal rights in relation to goods that are faulty, not as described, or not in conformity with your order. Advice about your legal rights is available from your local Citizens’ Advice Bureau or Trading Standards office. You may not assign or subcontract any or your rights or obligations under these Conditions unless we agree in writing. We may assign, transfer, or sub-contract any of our rights or obligations under these Conditions at our discretion. If any of these Conditions are found to be illegal, invalid, or unenforceable by any court of competent jurisdiction, the rest of these Conditions shall remain in full force and effect. These Conditions and the purchase and sales transactions contemplated by these Conditions, including, but not limited to, all contracts, will be governed exclusively by the laws of England and you agree that any dispute between Unex and you will be subject to the exclusive jurisdiction of the courts of England and Wales. The Website is operated by Unex Designs Limited (“Unex”, “we”, “us” or “our”) a company incorporated in England and Wales with a registered office at 7 St Pauls Road, Newton Abbot, Devon, TQ12 2HP. The Website, all contents on the Website, including names, logos, images, illustrations, designs, icons, photographs, written materials, and video and audio clips, and all intellectual property rights in such contents (collectively, the “Contents”) are owned, controlled, or licensed by Unex. All intellectual property rights in the Contents are expressly reserved. The Website may be subject to one or more U.S. Patents used under license. You may download or copy the Contents of the Website for your personal use only and only to the extent you do not modify or alter the Contents, delete or change any copyright or trademark notice, or violate the Website Terms. No right, title, or interest in any Contents is transferred to you as a result of any such downloading or copying. Accessing, downloading, printing, posting, storing, or otherwise using the Website or any of the Contents for any commercial purpose, whether on behalf of yourself or on behalf of any third party, is prohibited. 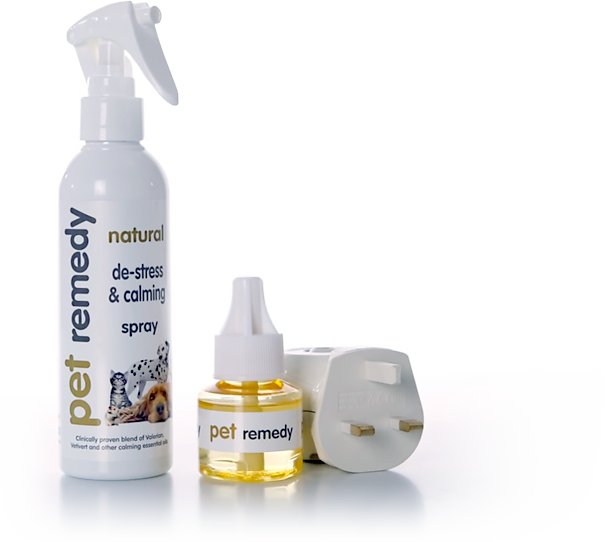 Except where otherwise specified on the Website, the materials on the Website are displayed solely for the purposes of promoting Unex and Pet Remedy products and services available in the UK. However Unex may accept orders for delivery to locations outside of the UK subject to customs, legal, regulatory and certain practical restrictions. Those who choose to access this Website from locations outside the UK or place orders for delivery to locations outside the UK are responsible for compliance with local laws if and to the extent local laws are applicable. You agree that Unex is under no obligation to treat any User Content as confidential or proprietary or to pay for or respond to any User Content. For any User Content you submit, you grant to Unex a non-exclusive, sub-licensable, fully paid-up, perpetual, irrevocable, royalty-free, transferable right and license to use, display, perform, transmit, copy, modify, delete, adapt, publish, translate, create derivative works from, sell and distribute such User Content, and to incorporate the User Content into any form, medium, or technology, now known or hereafter developed, throughout the world, all without compensation to you. You also grant to Unex the right (but not the obligation) to use the name that you submit in connection with any User Content. For these reasons, do not send us any User Content if you do not wish to license it to us or do not want us to use your name. We are not responsible for the use or disclosure of any personal information that you voluntarily disclose in connection with any User Content you submit. You represent and warrant that you have all rights necessary for you to grant the licenses granted in this section. You agree that any User Content you submit will be accurate, will not violate any law, will not violate any right of a third party, including copyright, trademark, privacy, or publicity rights, and will not cause injury to any person or entity. You further agree not to submit any User Content that contains or provides links to material that is obscene, profane, lewd, violent, or threatening or that contains viruses, malware, political campaigning, commercial solicitation, or any form of “spam”. You agree not to use a false e-mail address, pretend to be someone other than yourself, or otherwise mislead Unex or third parties as to the origin of any User Content. You are solely responsible for the User Content you submit and agree to indemnify us for all claims resulting from any User Content submitted by you. You acknowledge and agree that we reserve the right (but have no obligation) in our sole discretion to monitor, edit, and remove User Content. Unex assumes no liability for any User Content submitted by you or any third party. Links may be established from the Site to external websites operated by third parties. Your use of these third party websites is at your own risk. Unex makes no warranties or representations about any third party websites and is not responsible or liable for such websites, their content, products, privacy settings, terms, or other materials on or available from them. It is your responsibility to review and understand the terms, policies, settings, and functions of any third party website. The display of an item on the Site is not a guarantee that the item is in stock or that it will be available when you visit the Site at a later date. If you have questions about the availability of a particular item, call us: 01803 612772 or send us an email: neil@petremedy.co.uk Customer Services will make every effort to assist you.